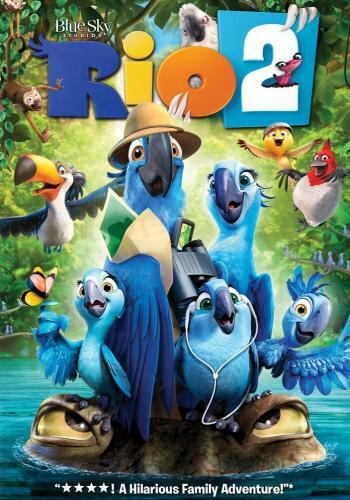 Released in 2014, the film is the sequel to the hit film, Rio, the tale of love between two endangered blue macaws. This film, however, continues the adventures of our macaw couple, Blu and Jewel, voiced by Jesse Eisenberg and Anne Hathaway, respectively. Blu and Jewel have gotten used to life in Rio de Janeiro and even have 3 children of their own. Somehow they don’t seem to have aged at all. When news comes to them that there is apparently an entire flock of blue macaws still alive somewhere deep in the Amazon rainforest, they decide to check it out for themselves. Well, Jewel is the one who’s more interested in checking it out; Blu is rather reluctant to leave the city. Nevertheless, he acquiesces and they head out to the Amazon with their bird friends from the previous film: Rafael, Nico, and Pedro, voiced again by George Lopez, Jamie Foxx, and will.i.am, respectively. I’m not a fan of them, but don’t hate them either. Once they find the bird haven, Jewel discovers her long-lost father there, Eduardo, voiced by Andy Garcia. Eduardo is happy to have his family back and wants Blu, Jewel, and the kids to stay with him in the rainforest. Blu, on the other hand, has trouble getting used to this rather sudden change of location all while trying to get along with his father-in-law and Jewel’s childhood friend, Roberto, voiced by Bruno Mars. Can you blame Blu for being jealous? All of this goes on while a human logging company is trying to deforestate that particular patch of macaw haven. And that’s pretty much the gist of the movie, so let’s talk good points and bad points. Good points: The animation is very good. It’s colorful and fast at times, and just a pleasure to see. Blue Sky Studios is a company that seems to improve its animation with every new release. Another good point is the voice acting. Well, I mean it’s not great, but it isn’t horrendously bad either, especially since marinated with celebrity voices. Jermaine Clement returns as the villainous cockatoo, Nigel, and he’s by far, the most excellent voice. I was expecting to be more annoyed by hearing people like Bruno Mars lend their voices, but they were surprisingly tolerable. Good job, guys! That doesn’t mean your character isn’t annoying though! I’m also a big fan of a mute character named Charlie. He’s an anteater whose purpose is to pay homage to Charlie Chaplin. He doesn’t speak, but like Charlie Chaplin, he emotes through action. And when you see him moving, he brings a smile to your face. Move over, Scrat! I want this guy to be Blue Sky Studios’ new signature character! Ok, bad points: the story is soo….cliched! You have the usual story of moving to another area and having to get used to it. You have Blu trying to get along with his father-in-law and trying to not see Roberto as a rival. You have the environmental twist again showing man as evil, etc. The boss in charge of the logging company, Big Boss, is so bland and forgettable a character, too! He’s as bland and forgettable as Shan Yu from Mulan. Coincidentally, he’s voiced by the same guy. And if that wasn’t bad enough, this film promotes itself as a musical, but I’m sorry! 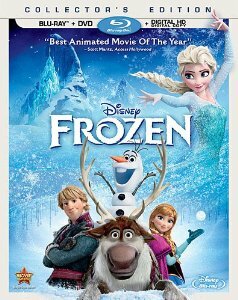 None of these songs are instantly memorable and none of them merit the need for a sing-along version of the film to be released to theaters a la Frozen. Not every film can be Frozen. FILMS, KNOW YOUR PLACE! Summing up, this film is exactly what you’d expect from a theatrical sequel that’s not Disney/Pixar/Dreamworks…it’s just…eh. It’s not horrible, but it’s okay at best! I feel you. I am so behind on writing my Legends of Oz: Dorothy’s Return review, though it came out months ago. 2014 is not much better than 2013 when it comes to animated films. Now when it comes to this film, it is nothing special at all. It does get overly complicated at times, the story is clichéd, the characters do not get more depth, and there is a lot of silly, unfunny filler. The original is much better. Yeah, ‘Rio’ was definitely better! I’m actually planning on watching ‘Legends of Oz: Dorothy’s Return’ soon too and maybe reviewing it. From what I have seen of it, it is not as horrible as everyone says it is, but it is nowhere near good. I didn’t even like Rio, therefore I have no interest in watching the sequel. Just the same Blue Sky nonsense. I avoided seeing this movie, mainly because I didn’t think it’d be good. I’m not a big fan of Blue Sky Films (except for Robots, I’m actually okay with that one). I never found any other Blue Sky Studios films particularly interesting. Though I am interested in the Peanuts film they’re making. What do you think of it? 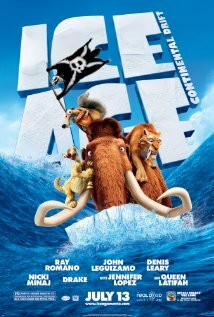 I’m not a fan of Blue Sky Studios at all either, but I felt compelled to watch the movie as an “animation addict”. On the other hand, I’m VERY interested in the ‘Peanuts’ film and think that it’ll be the only amazing Blue Sky Studios film and only commendable one. An animated film I haven’t seen yet, and I’m not sure if I want to. Is it worth it? Put it shortly: no. Unless you’re obsessed with the first film. Are you planning to see The Book of Life? It’s coming out soon. I liked the first film more than I planned to. I definitely want to see ‘The Book of Life’. (I still can’t get over that it’s from the same company that made ‘Free Birds’)! But, I’ll wait till it comes on DVD to see it. Previous Previous post: Pixar Releases ‘Inside Out’ Teaser Trailer! Next Next post: Review For ‘Escape to Witch Mountain’ Is Up!